Axem Neurotechnology is developing the first brain sensing device for neurorehabilitation. Bereda gives endurance athletes a framework to easily build and update customized training plans in line with modern training theory. B-Line Analytics is a mobility survey platform that helps environmental consultants and organizations easily and affordably collect occupant mobility data to improve building occupants’ health, achieve green building certifications, and enhance biking and transit infrastructure within cities, helping citizens to get to work faster. CacheFlo offers Behavioural Cash Flow Management tools that help Financial Institutions help their clients manage spending and get more life from their money. Cribcut has built a software-enabled marketplace for mobile hairstylists. Dropout Labs is a platform for secure, privacy-preserving machine learning. Harbr captures workforce performance and quality metrics through key engagements with Site Managers while making their job easier and more efficient. Workforce analytics provides critical insight into the job site for decision makers. Manifold gives developers and engineering teams the freedom to use their favorite essential services with any cloud. We make it really easy to find, buy, and manage developer services like email, storage, and logging outside the confines of the monocloud so teams no longer have to sacrifice quality and performance for ease of use. Peer Ledger is a blockchain company specializing in blockchain products for initially the healthcare and precious metal and minerals sectors. It offers two products: (1) an identity bridge product suitable for high assurance sectors, and (2) the Mimosi track-and-trace blockchain application for responsible (i.e. conflict-free) supply chains. Proof builds better communities with cloud-based software that helps governments deliver and track their spending. Their CRM and ERP tools provide governments the insights they need to deliver amazing service to citizens and businesses in their community. RetailDeep helps retailers deliver amazing customer experience using AI to instantly identify individual customers in physical retail stores. The AI is able notify store associates with meaningful and actionable information, making the customer’s in store experience better. SalesRight helps B2B SaaS sales professionals close more deals by arming them with interactive and intelligent pricing that enhances the buying experience and their bottom line. Side Door gives audiences instant access to intimate and unique events happening right in their own neighborhoods by matching artists with hosts who turn their private homes, businesses or alternative spaces into venues. Swell provides deep analytics and automated operations support tools for marinas, boat clubs and government waterfronts focused on increasing revenue, decrease operational overhead, and providing a better customer experience. Swept develops software specifically for the commercial cleaning industry. Their software is designed for the unique challenges cleaning companies have when managing a large number of cleaners and clients with limited resources. Their communication-centric approach allows cleaning managers to identify issues before they become problems, which allows them to not only be more efficient, but more effective at their jobs. Ubique Networks delivers a blockchain-powered computing grid, and a lag-optimized and full automated esports solution for the gaming world. 6Joes‘ unique software takes all the popular elements of Draft Fantasy Sports and delivers them to the palm of every amateur golfer in the world. Addo takes a proactive approach to health in the workplace through our gamified and social platform. Every employee has a profile where they earn points for healthy habits. Employees can see their results in real time, track their progress, compete against other co-workers, and form teams to compete against one another. ADDvocacy delivers on-demand text-based learning strategies with peer coaches. The AdLyft team has developed a software platform that facilitates the creation and distribution of incentivized, interactive, engagement based advertising within applications that users already have on their devices. We verify the user actively participated in an advertisement and greatly reward them for giving us their undivided attention. Brands, publishers, and users all win. Agora Mobile is a social network for mobile app discovery, development, and deployment. We create technology that enables anyone from consumers to companies to build their own mobile apps. These apps are created entirely in our social network and conform to modern mobile browser standards enabling them to be cross platform to all smart phones and deployed to the web instantly without the need of any app store. Analyze Re uses deep industry experience to provide pricing and risk management software for the reinsurance industry. Their innovative SaaS platform employs high performance computing and big data analysis to unlock a holistic view of risk, enabling reinsurers to make smarter decisions, minimize their risk and maximize their profits in real-time. Athletigen provides fitness enthusiasts, high performance athletes, coaches and health professionals with genetic information related to athletic-traits. This information is processed by their proprietary bioinformatic algorithm and the results are used to optimize fitness plans, elite athlete performance and physician prescribed exercise. Bungalo is a peer-to-peer marketplace for renting out rural properties such as cottages, cabins, farmhouses, huts and chalets. Today the company has grown to become the largest of its kind in Iceland and is now expanding into Canada with the goal of becoming a market leader. CogPro is focused on making small household electrial appliances – thermostats, telephones, stereos, and more – primarily for people with Alzheimer’s disease and their caregivers. These smart devices work in any old home with electricity and telephone connections – no WiFi needed. Their JeevesTM products operate unobtrusively to avoid common user mistakes, customized and monitored by the caregiver. Designed for familiarity and simplicity, their products will ensure a secure, satisfying and less stressful quality of life for both user and caregiver. Compilr is an online platform that allows developers to write and learn code all from the comfort of their web browser. Compilr has built one platform that integrates cloud based software development tools under one roof, delivering an experience no offline solution could ever provide. Compilr was acquired by Lynda.com in 2014. 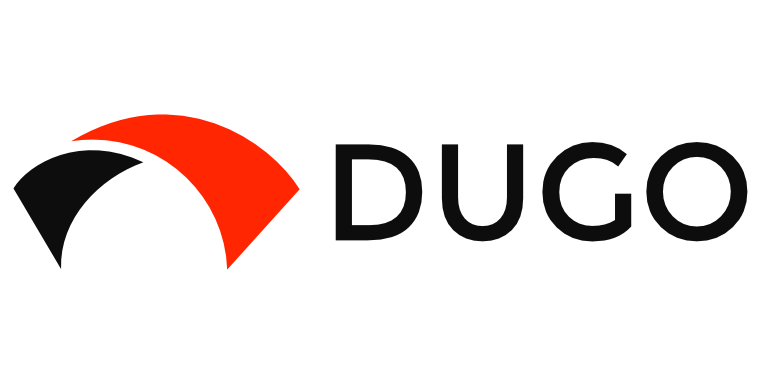 Dash Hudson is a visual intelligence platform working with the world’s best brands and publishers to create, source, measure and enhance the engagement of their photos and videos. The Dingbot team designs and operates automated boats for collecting data on the water. DraftCAM applies superhuman vision to any video turning your smartphone or webcam into a powerful tool that detects leaks normally invisible to the naked eye. 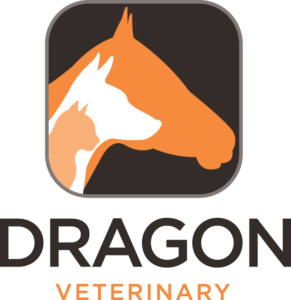 Dragon Veterinary is an industry shaping software made by vets for vets. Their voice-recognition software has the largest veterinary-specific vocabulary on the market. They integrate with vets’ current systems, allowing users to dictate instead of typing. This saves the average veterinarian hours daily, and thousands of dollars annually. EmailOpened uses Adaptive Email Technologies (AET) to keep your emails out of the spam folder…. and the trash. Email Opened takes care of all this. Email Opened also gives you advanced email analytics that help you to boost your opens, clicks, conversions, and profits. Fundmetric segments and tracks donors while providing personalized, auto-responsive and statistically effective donor experience for any organization that requires fundraising. GoFullSteam’s quick and easy tools give entrepreneurs what they need to succeed. Painlessly prepare financial projections, create dynamic business blueprints, and get back to doing what you love with confidence. Health QR’s free, secure service allows you to view your prescriptions online, share your information with family members or healthcare professionals, set reminders when to refill your medications and order refills online. Read more! Hello Focus applies data science to make individuals and teams more productive when it comes to managing their workload. Interview Rocket is an online job candidate pre-screening tool, using captured video responses. Their solution allows recruiters to save considerable time on tasks such as arranging appointments, working across time zones, and managing large volumes of candidates. Introhive is the relationship capital platform. Introhive unlocks the connections and relationships within a company to help sales and marketing understand and reach customers. This results in better account intelligence and more meetings, not just more data. Layers is a platform for people to communicate their thoughts layered over images. Layers provides people with tools to better articulate their thoughts and sentiments directly on images. From memes and social images to the annotation of academic articles, or business documents, Layers is providing a unique and refined method of universal expression. Machina Metrica offers predictive maintenance solutions for industry. This SaaS platform helps prevent breakdown before it happens by applying advanced analytics on historical and real-time machine data to detect and diagnose fault patterns. The Modest Tree Suite of eLearning software represents a revolutionary method of creating 3D interactive courseware that will significantly reduce the amount of time and cost to create quality, interactive 3D training. OH&S Data Inc. is a unique and up coming company who provides an effective SaaS tool allowing companies the ability to more thoroughly and efficiently manage their health and safety documents. Originally developed by one of OH&S’s founding partners, the system has been continuously improving ever since, meeting and exceeding expectation of current and prospective clients. Never lose track of your signed contracts again. PACTA turns your contracts into smart contracts through proactive contract management. Read more! Pixel is a small mobile printer made to work with your phone, tablet or computer. Pixel is changing the way you work with your bluetooth enabled devices by creating ways of physically sharing moments and information. With Pixel, the software and APIs, you can print anything from photos to receipts all from the palm of your hand. Proposify is a SaaS-model web application that addresses the pain-points of proposal writing by offering an easy way to track and manage proposals, collaborate with teams, and create custom designed, re-usable templates so new proposals can be quickly assembled and less time spent on searching for content. Capture a moment with music. Strings.fm uses a mood-learning algorithm to recommend the right songs for the right moment. Just log in with Facebook, pick a song you’ve been stoked on, and add a couple mood-matched songs to the playlist. Site 2020 Inc. is creating a networked traffic management solution for road construction sites that increases safety while reducing overhead costs. The system networks smart portable traffic lights with a tablet computer, allowing a single employee to manage traffic safely and creating an innovative platform for communication on construction sites. Read more! The Rounds is the first and largest credential-verified online professional network designed exclusively for Canadian physicians. With The Rounds, physicians can use any smart phone, tablet, or desktop computer to quickly and securely connect with their peers across all specialties and across the country. They support physicians in delivering faster, smarter treatment and in managing their own practice. TitanFile is a secure file sharing application focused on creating better ways for people to communicate and collaborate online without having to worry about security and privacy. topLog turns System Log data into intelligence. By utilizing state-of-the-art Machine Learning techniques and providing an interactive user interface, topLog gives System Administrators better insight into what is happening to their IT resources. TouchTilt Games creates educational games and simulations that focus on the child and parents’ wants and needs in a game without being a babysitter toy. 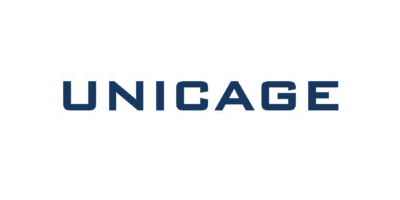 Unicage is a proprietary UNIX shell script based development framework used by global key industry leaders that solves complex data integration and batch processing problems. UpMyGame is a cross platform application that allows coaches and athletes to quickly shoot and share video clips and training tips. Their platform makes video accessible on any device, anytime, anywhere to assist coaches in delivering the best possible feedback to their athletes in realtime. In addition to helping women business owners find the best freelancers, Vendeve is the first freelancer platform where helping others and sharing your expertise is directly linked to getting more leads. Vidsnippets offers flexible, intuitive video solutions that provide both Creators and Viewers with greater choice and control over how video are utilized and experienced. WoodsCamp procures timber via social networks and the web, unlocking sustainable forestry from non-industrial private land while building wealth for rural communities. Zora gives landlords relief from stress by proactively scoring applicants, managing leases, obtaining repair quotes and a more. Read more!